Are you having trouble keeping your Escondido CA home comfortable? Do you question the quality of your home’s air? Does your home’s energy performance need improvement? Cool Air Solutions has been answering these questions since 2006 as we repair, replace and maintain the heating and cooling systems of your Escondido CA neighbors. Call us to find out what we can do for you. Michael Pierson came to our home to check out the (lack of) efficiency of our heat pump system after our electric bill had risen dramatically in December. He found the cause of the problem, fixed it, installed the new Nest thermostat we had purchased, showed me how it worked and helped me set up the app AND signed me up for a year of maintenance all for $169.00! Incredible deal and a very nice guy who seems to love his job and his employer, which I think says a lot. We have found our new HVAC dealer and would recommend them to everyone. I'd give more than 5 stars if I could. Great communication, and listened well. I have loved working with this company. Serviceman called in advance to let me know of his arrival time on the scheduled day originally set up from the main office.Service was performed efficiently with minimal interruption. Luke called to announce his appointment time and arrived at the appointed time. He identified what he would be doing during the inspection and at the end of the inspection explained the results. He completed his work by explaining their follow-on inspections for new customers who have purchased new HVAC system via Cool Air Solutions. We have been customers of Cool Air Solutions for several years, beginning at our Temecula home, and continuing service for the last two years after moving to North Escondido. It is reassuring to have them service the heating system in the fall, and the A/C in the spring! Arrived exactly on time said he would, kind and respectful, quick to do his job, overall great experience! Bryan was great and very attentive. He has great listening and communication skills. Explained everything well and did not pressure us at all, which made it a very pleasant experience. Mike was very knowledgeable and pleasant. outstanding service conducted in a most professonal manner. Luke represents the company in a manner that supports Cool Air Solutions as a company that holds the highest of reputations. Patient with customer and thorough estimate. 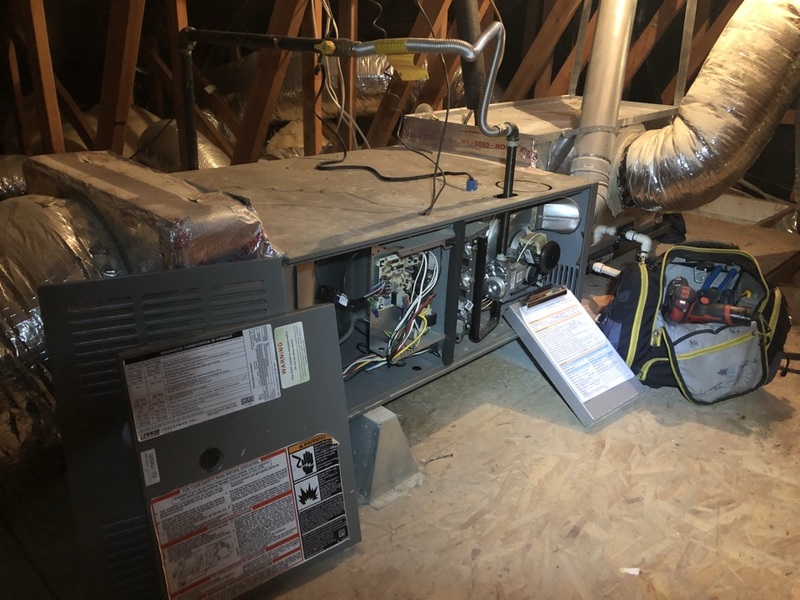 Brien arrived on time and was prepared to listen to our requirements and develop a plan to replace our 25 year old HVAC with a recall on the furnace. Brian walked me through his plan and explained his plan to replace furnace, add dampers in the plenum to control air flow to the difference areas of our home, and replace the 25 year old A/C with a new Lennox HVAC that will enable us to control the humidity and temperature in our home. Still reviewing the estimate to determine if we want to continue. Estimate seems to be very conpetitive considering all of the work to be completed in a cramped attic. Understand Brian's survey came late because of trouble with the Internet Saturday 25 Feb 2017. Received great service, scheduled to install new ac/heat system. 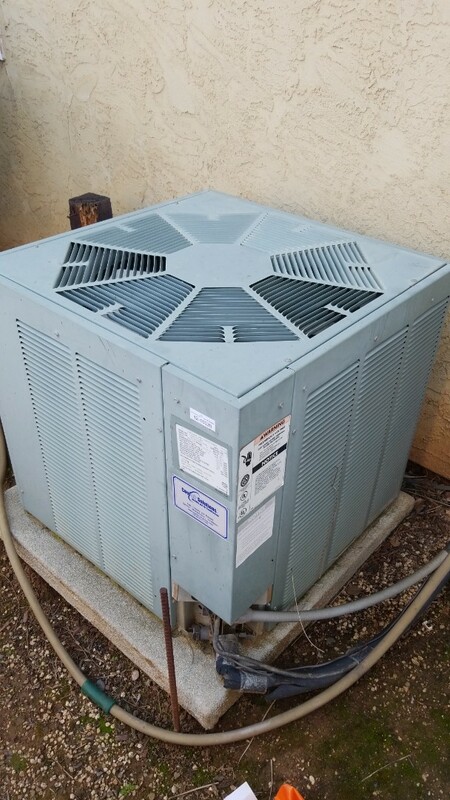 Air conditioning repair in Escondido on a Goodman system. Ac maintenance on a Lennox system in Escondido, Ca.